You are paying for expert packing skills, so make sure the company you consider is equipped to deliver the service your needs demand. Gramex acts as an extension of your own company. By outsourcing labor intensive packaging needs you can save costs and increase your operational efficiencies. Let us manage your bottling and packaging needs. 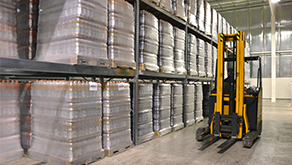 Gramex is a trusted third party logistics partner for the beverage industry that can expertly provide end-to-end solutions. Outsourcing allows companies to focus on their core businesses while gaining access to skilled labor when they need it. See how you can reduce costs and to gain outside expertise. 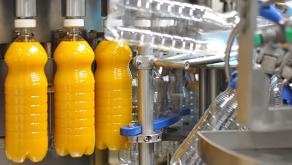 Gramex has been making private label beverages and assisting beverage owners with producing and distributing their products since 2000. We offer flexible production scheduling and just-in-time delivery with printed shrink bundle packaging to save you space and money. 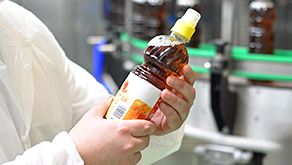 We welcome the opportunity to discuss and explore your private label beverage needs with you. Gramex works with a very wide range of juice and juice drink brand owners. We are experts in contract packing and manufacturing. We help develop, produce, co-pack and build brands and household names by delivering the quality in quantity that our customers expect. We work with many brand-owners on a contract packaging basis. Our brand customers, whether they need an end-to-end solution or help on different parts of their journey, from product development to storage and distribution, choose to work with us because of our commitment to quality. They also trust us to deliver results and to help them in evolving their brand and its values.